To select additional cross bars and other add-ons click here - Mini Van Rack Accessories. Adjusting crossbars from 40" to 68"
Are you a proud mini-van owner? Well the stories you've heard are true! How many times have you thought of making a trip down to the lumber yard, but had no way to haul the lumber? Well not anymore! With the Cross Tread mini-van racks, you will have no problem making that dreadful trip to the lumber yard. The Cross Tread mini-van racks are designed to work great for either work or play. They are made out of either high grade steel or bright diamond plated aluminum. The steel racks are finished off with a thick layer of white or black powder coat paint, giving the exterior a durable protection from dings and dents as well as adding amazing corrosion resistance. All 3 styles feature 4" wide uprights which are made out of 3/16" diamond plate aluminum and have a weight capacity of up to 300 lbs. But if you would like to increase the weight capacity of these van racks, you can purchase additional crossbars. The cross bars are adjustable and can extend from 40" to 68", suiting all your hauling needs. This mini-van rack will bolt directly to the top of your roof. A leak proof kit which keeps water and other moisture from entering the interior of your van is also included. This amazing 300 series mini-van rack will suit all of your hauling needs! Allowing you to throw skis, kayaks and lumber on the top of your mini-van with ease. We also promise to only reference "Soccer Mom" if you want us to. Get moving your cargo with confidence today with the Cross Tread mini-van rack! 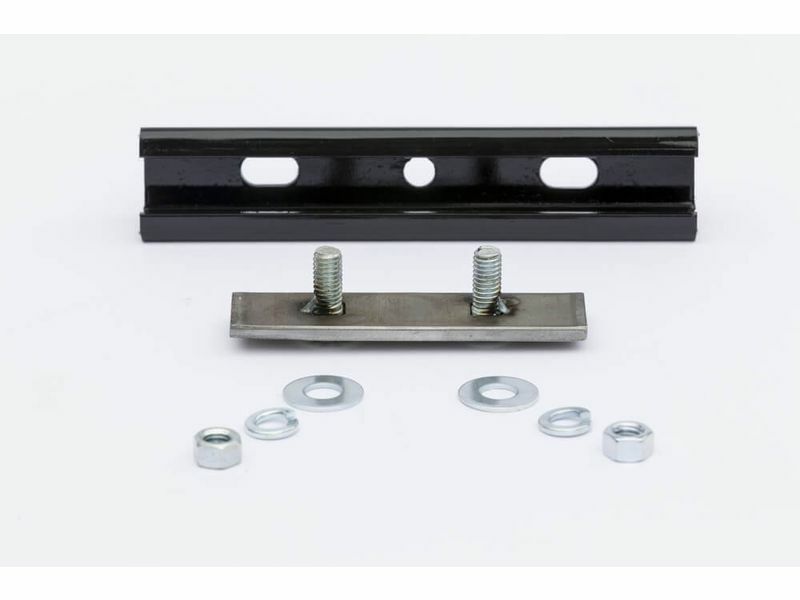 This product offers a moderate to easy bolt on installation. There will be an installation manual that is sent with this rack which offers clear cut and easy to read instruction. For additional information, please call us toll free at 1-866-309-1907 or 701-253-5906.